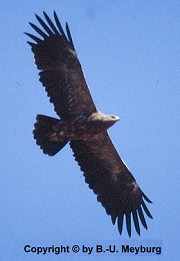 WWGBP has been active for several decades and plays an important role in the promotion of raptor conservation and research on an international level. Its membership comprises over 3,000 raptor specialists and enthusiasts in all parts of the world. All those interested in raptors are encouraged to become a member free of charge by subscribing to one of the list servers. An electronic mailing list is a special usage of email that allows widespread distribution of information to many Internet users. Members can choose to receive individual messages, a daily digest, or simply read group posts on the web site. Please click here for an overview of WWGBP electronic mailing list servers. RAPTOR CONSERVATION is the official and largest WWGBP online discussion board with about 1,300 members. All those seriously interested in the study and conservation of diurnal and nocturnal birds of prey (Falconiformes and Strigiformes) worldwide may subscribe. with a copy to WWGBP@aol.com informing us of your background and interests. By using this group, you can send information simultaneously to the complete group of interested raptor specialists and enthusiasts. You will regularly receive by e-mail news items of interest, conference announcements, members' requests for information, etc. in the shortest possible time. 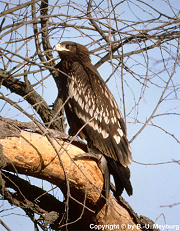 WWGBP has published the proceedings of several world conferences on raptors as well as of other international meetings since 1989. WWGBP has recently begun to digitise these publications and make them accessible free of charge to all interested persons. Please click here for a list of the available publications. For information on other activities please click here. Wangenheimstr. 32, D-14193 BERLIN, Germany. Fax: +49 30 892 80 67, E-mail: WWGBP@aol.com.